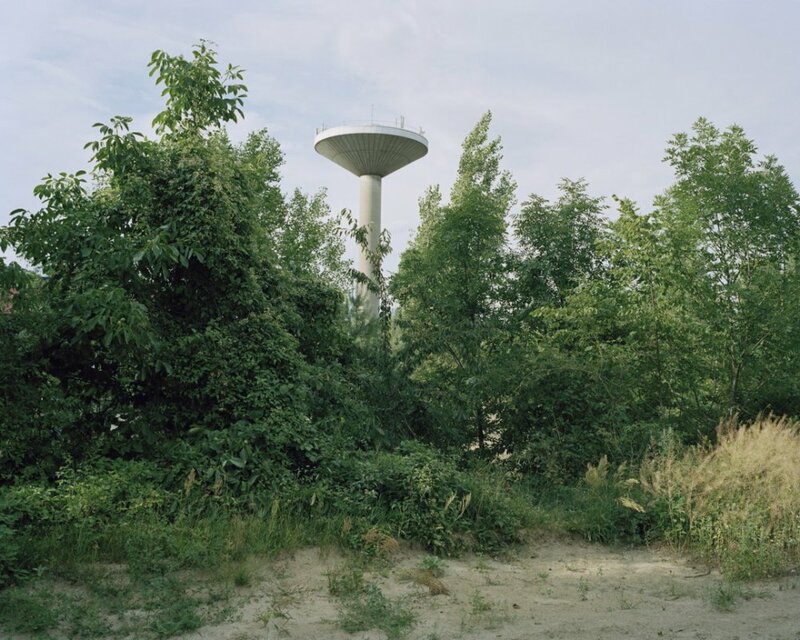 During my residency I began a new series of work that investigates ideas of transition within Berlin. Traveling through the city, I tried to find those dead ends, deserted streets and green stretches where the landscape becomes unpredictable. I was attracted to the instability of these spaces, where meaning is not fixed or easily defined. My photographs attempt to relate the uncertain nature of these in-between spaces to the greater discontinuous and ruptured history of the city.